In this photo illustration, the logo of the Swedish music streaming service Spotify is displayed on the screen of an iPhone on Jan. 6, 2017 in Paris. On Wednesday Spotify announced the company will go public. 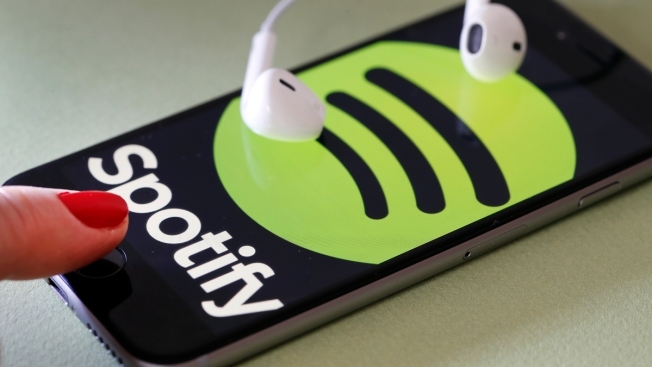 Streaming service Spotify announced Wednesday its plan to go public, CNBC reported. The company will begin trading on the New York Stock Exchange under the ticker name SPOT. According to the company, shares have traded as high as $132.50 on private markets, which would give the company a valuation over $23 billion based on ordinary shares outstanding as of Feb. 22. Spotify is the leader in streaming music services globally, with the company reporting 71 million paying subscribers and more than 159 million monthly active listeners (MAUs) as of December 2017. It is available in 61 countries and territories. Its closest competitor, Apple Music, is far behind at 36 million subscribers. The company reported revenue of $2.37 billion in 2015, $3.6 billion in 2016 and $4.99 billion in 2017, according to its F1. (This is based on current euro to dollar conversion value.) It said paid subscribers are growing at a rate of 46 percent year-over-year, while MAUs are increasing at 29 percent year-over-year. The company posted a loss of $1.5 billion in 2017.